Yorkshire County Cricket Club will host the opening Investec Test Match of the 2016 season after the venues for next year’s internationals against Sri Lanka and Pakistan were revealed by the England and Wales Cricket Board. Headingley will stage the first Test of the summer when England entertain Sri Lanka, starting on Thursday, May 19, 2016. This will be the second time in three years that England and Sri Lanka have played at Yorkshire’s home. In 2014, Sri Lanka celebrated their first series triumph in England with a dramatic victory at Headingley by 100 runs. Later in the year, Headingley will host the fourth Royal London One-Day International when England take on Pakistan on Thursday, September 1, 2016 in the first day/night ODI at the venue since 2008. “We are delighted, that once again, we will be staging a Test Match and a One-Day international in 2016,” said Yorkshire’s chief executive Mark Arthur. 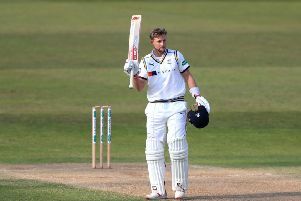 “International cricket is the lifeblood of Yorkshire County Cricket Club and after the highs of this summer, with an Ashes victory, it will be fantastic to host the national side at the start of the summer next year. “This year’s Test between England and New Zealand at Headingley was a great success as we recorded our highest aggregate attendance for a Test Match since 2012. As a reward for our efforts, we are thrilled that the ECB have given us the opportunity to raise the curtain on the English summer in 2016. I am confident that we will continue to deliver a fantastic experience for all our patrons. Tickets for the international matches at Headingley will go on sale exclusively to Yorkshire Members from Tuesday, September 1 to Monday, September 14. Members of England Cricket’s official membership scheme TwelfthMan will have a two-day priority period to purchase from Monday, September 14 to Tuesday, September 15. On Tuesday September 15, those who register their interest in the international fixtures through www.yorkshireccc.com/register will also receive a priority window ahead of tickets going on general sale. These tickets are only available to purchase online. Tickets will go on general sale from Wednesday September 16.